The interest rate you pay on your home mortgage has a direct impact on your monthly payment; the higher the rate, the greater the payment will be. 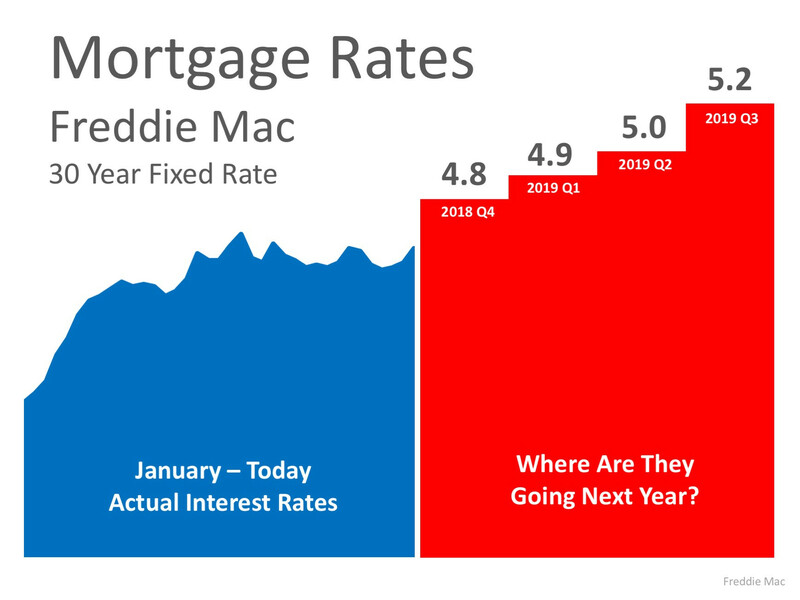 That is why it is important to know where rates are headed when deciding to start your home search. Below is a chart created using Freddie Mac’s U.S. Economic & Housing Marketing Outlook. As you can see, interest rates are projected to increase steadily over the course of the next year. Depending on the amount of the loan that you secure, a half of a percent (.5%) increase in interest rate can increase your monthly mortgage payment significantly. According to CoreLogic’s latest Home Price Index, national home prices have appreciated 6.2% from this time last year and are predicted to be 5.1% higher next year. If both the predictions of home price and interest rate increases become a reality, families would wind up paying considerably more for their next homes. Even a small increase in interest rate can impact your family’s wealth, so don’t wait until next year! Let’s get together to evaluate your ability to purchase your dream home now. NORES MLS Internet Data Exchange (IDX) information is provided exclusively for consumers’ personal, non-commercial use and may not be used for any purpose other than to identify prospective properties consumers may be interested in purchasing. Any use of search facilities of data on this site, other than by potential buyers and sellers, is prohibited. Data is deemed reliable but is not guaranteed accurate by the MLS or Hopper Group at RE/MAX Results. Data last updated: 2019-04-23T00:22:40.707.